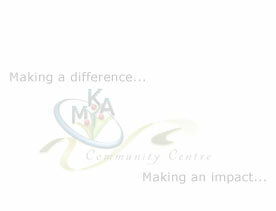 The MKA Community centre in August 2001 won the best Girls only summer Play Scheme Award. This was in recognition to the variety of quality provision of activities focused on girls within the Highfields area. including PV Solar Roofing, Internal cavity wall insulation and roof. Sensor Lighting, heat recovery air ventilation and low pv based paint decoration and environmental friendly flooring. In recognition of our hard work we were awarded the Leicester Environment City Best Demonstrator Building AWARD 2002/ 2003. 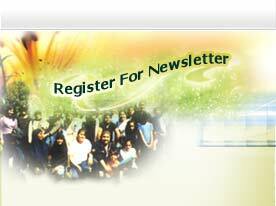 The photos are example of some of our work. recognition of all the hard work of all trustees and volunteers who have contributed considerable time and effort in transforming this derelict Warehouse into a successful community led Healthy Living Community centre. Our young people participating in the Positive Activities for young people Scheme at the centre reached the finals in the football tournament which was held at the Walkers Stadium. acknowledged for its Community Against Drugs project and the Healthy Living Centre Project where it has made a huge impact. 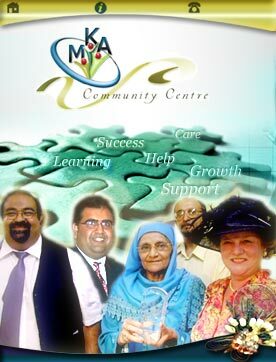 In 2004 the MKA community centre was awarded the best Self Sustainable Community centre merit award in the East Midlands. The award was presented to the association by a senior representative from Government Office for the East Midlands. MKA Community centre has been awarded by the Leicester Environment Partnership the Leicester Green Life Awards for Best Contribution by Community Organisation. This is a recogition of our continous hard work and commitment in promoting and demonstrating environmental green initiatives and sustainability within the local community.